As well as being beautiful to look at and to handle, our teaware enhances not just the tea’s flavour but the whole experience of brewing the delicate leaves, gazing at their slow unfurling dance, and enjoying the fragrant aromatics as they evolve. However you take your tea, do explore our collection and you will find pieces that complement your daily ritual wonderfully. 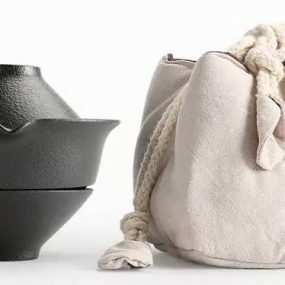 Traditional Zisha ‘purple clay’ teapots are a thing of beauty and elegance and are highly sought after. They are made from renowned Yixing clay, and are crafted in a gorgeous array of forms and colours. The high iron content and beauty of clay from Yixing city have made it prized by tea makers for hundreds of years. The clay’s porous surface actually absorbs tiny, essential traces of the brewed tea, so that, after years of service, you may only need to add hot water to extract a delicious cup of tea! Serious tea devotees are advised to dedicate separate pots for each type of tea. Cleaning is very simple – just a good rinse with boiling water, then allow to dry. Yixing Purple clay pots should be seasoned before first use. If you would like us to season a pot for you, just let us know in the ‘comment field’ when you order, and be sure and tell us what tea type you’d like to brew in the pot. The seasoning service will normally take about 1 week. We also have in stock several other new types of clay teapot that are not from Yixing, as well as fabulous glass teapots and an exquisite Celadon ‘easy brew’ pot-and-cup set. 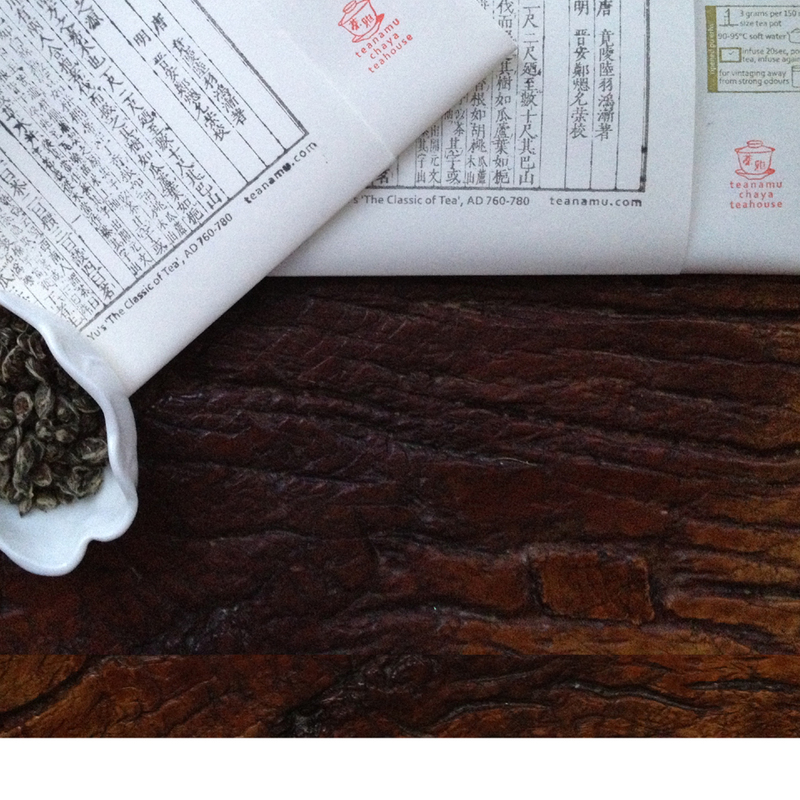 See our full range at chaya teahouse, as not all our teapots can be shown on this site, due to the frequent turnover. Besides, it is wonderful to get the feel of our teapots in your hand and to view them in natural light, and then we will help you choose the most suitable for you personally. The gaiwan is one of the most popular and convenient ways to brew and serve tea. It is a universal part of the landscape in China. Viewers of period films would have seen the gaiwan in many guises (Read: Gaiwan – Empress Dowager’s favourite teacup). A gaiwan is an elegant yet unassuming combination of saucer, bowl and lid. The lid allows the tea to be infused right there in the bowl, either be drunk directly – just hold the lid at a tilt to keep the leaves in the cup while sipping – or decanted into another container. A gaiwan is widely recommended by connoisseurs for use with teas that have especially delicate flavours and aromas, such as green or white teas. Unlike the Yixing purple claypot, a gaiwan does not absorb the aroma of previous teas brewed in it, and its design makes it super easy to view the steeping of the leaves and the appearance of the liquor. A beautiful, glazed porcelain or glass gaiwan will lend your whole tea experience an extra level of pleasure and serenity. Made from clay or glass, our elegant infuser cups with filter inserts allow you to quickly and conveniently brew single mugs of tea. Due to the material of the infuser, you are sure to get a clean taste every time. An infuser is the perfect, practical stand-in for a traditional gong fu cha set of tea stand, teapot, pitcher and cups. Our gongfu cha accessories collection includes tea stands and trays, pitchers, bamboo utensils and traditional tea cloths – all that’s necessary to have the calming, serene experience of the gong fu cha tea ceremony any time you want it. Tea stands or trays are the cornerstone of the tea ceremony, literally the foundation on which all else stands. They are designed either to collect water spills or, in some cases, to be used with minimum water. Pitchers are employed to ensure that every cup from a given infusion is of the same strength and quality. They’re considered an absolute essential. Utensils, including bamboo brushes, scoops and pincers, along with cloths to dry the pots and pitchers, are the final, exquisite element in the Chinese tea ceremony ‘family’. The bamboo tea tray is the centre of operations, with an ingenious device to store excess water beneath its surface. Other implements we supply come in a simple tool-set, of scoop, tongs and tea pick, made from beautiful, renewable bamboo.